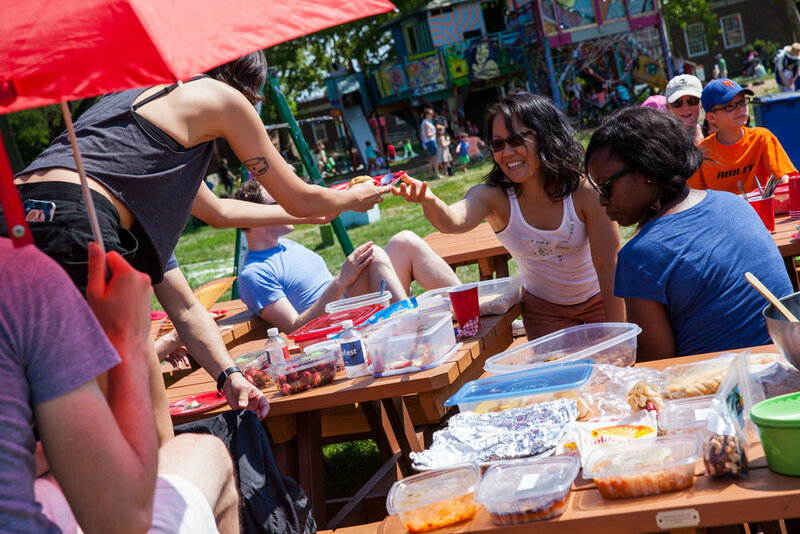 Common Picnic is an interactive installation designed for communal meals, lounging, and play. 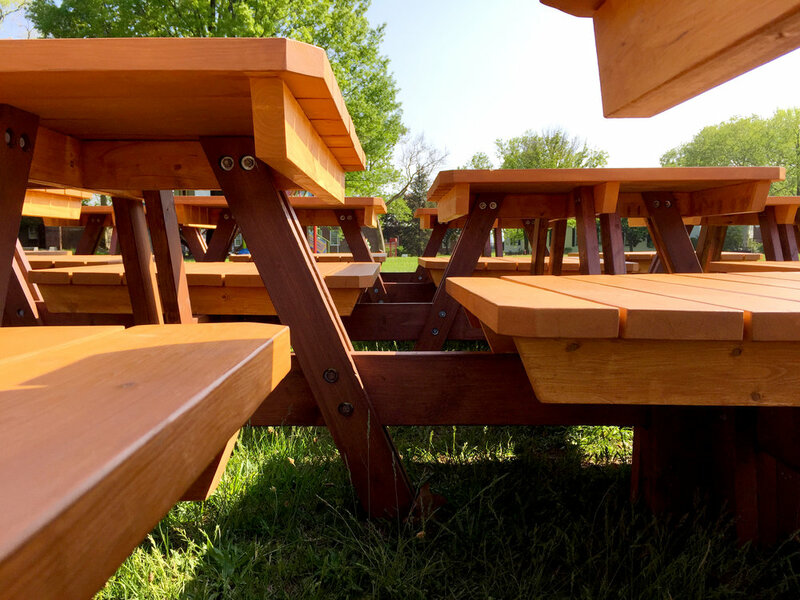 Today, a picnic is a casual meal that is eaten outdoors, but the word “picnic” was originally used to describe the collective contributions brought to a communal gathering; it was less about the setting and more about the spirit of gathering together. Common Picnic marries these definitions by taking an object we associate with leisure activities in spacious, grassy areas, and adapting it to reflect the experience of living in a crowded city where we often share our personal space with friends as well as strangers. 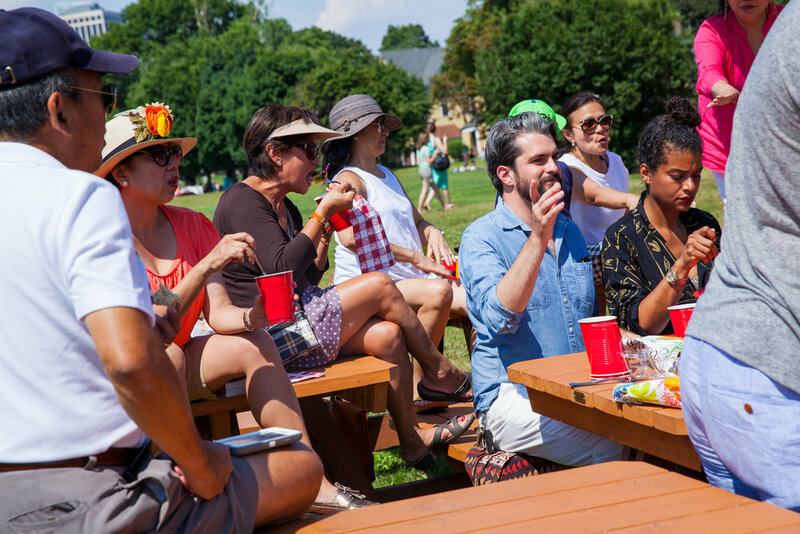 Our shared experience with Common Picnic highlights how we have to have a basic respect for one another in order to live harmoniously in the city. I hosted events throughout the summer, including a community potluck picnic for the general public on July 25, 2015.